Rebecca Shepherd floral design: Valentine's Day pop up shop. Jewelry, flowers and more! Valentine's Day pop up shop. Jewelry, flowers and more! Join us February 11th from 12-6pm for a one day only Valentines Day pop up shop at my studio in south Park Slope Brooklyn. 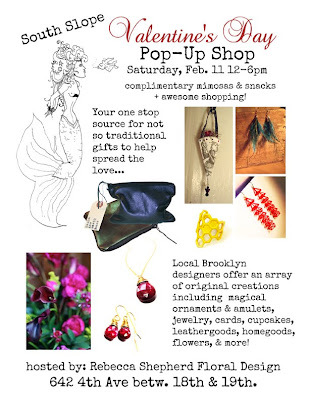 We'll have hand made jewelry, cup cakes, treats, home wares, and flowers. 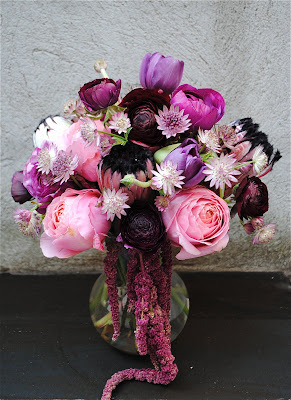 Here is one mini floral arrangement that you can expect to see! It's made in a white metal, filagree accented container that can be re-used as a votive candle holder once your flowers have gone to flower heaven (: This mini arrangement is $35.00 + depending on size. Please RSVP HERE if you plan on coming!